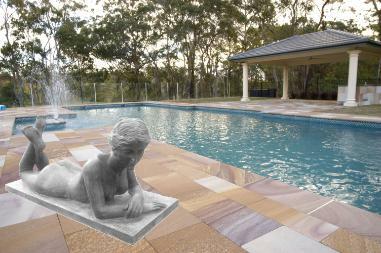 Landscaping ideas for around the swimming pool with Sandstone, Granite and Carved Statues from J.H. Wagner & Sons. 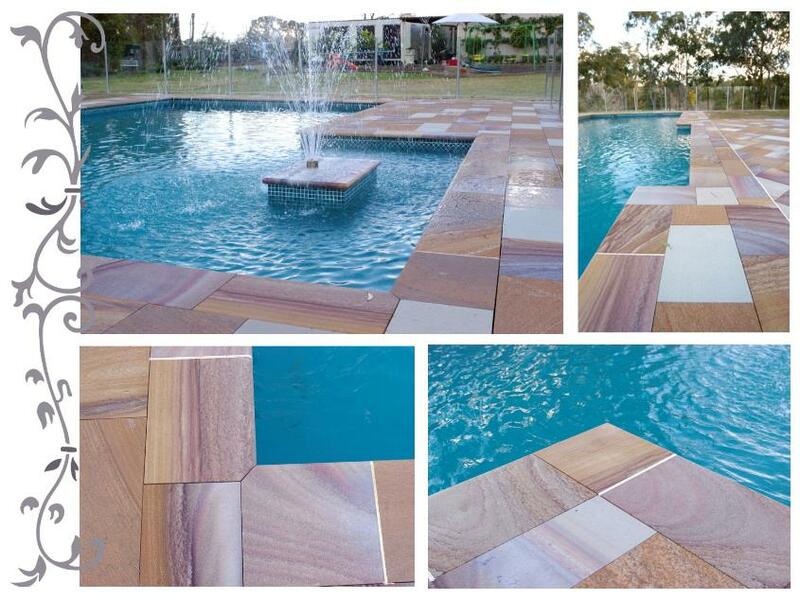 Sandstone Tiles are available in a variety of sizes ranging from 300mm x 150mm to 600mm x 600mm with a range of sizes in between. 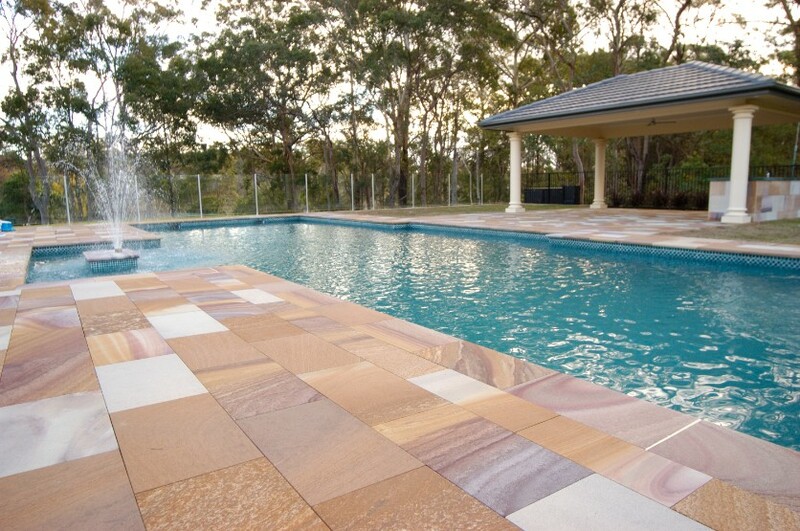 Bevelled, Half or Full Bullnose edgeing may be applied to tiles for use around pools (though not recommended with salt water pools). Prices are available upon application. To add a 'Beauty of the Beach' to your poolside see here.